I believe that every home needs some form of home office space. This space will serve as your control center as you go about your day. It doesn’t need to be elaborate, all you need is a flat working surface and a chair somewhere in your home. Ideally you should have an electrical outlet for charging laptops and smartphones plus some writing material, but that is it. I am going to assume you already have a home office space setup in your house because this post isn’t about creating one. 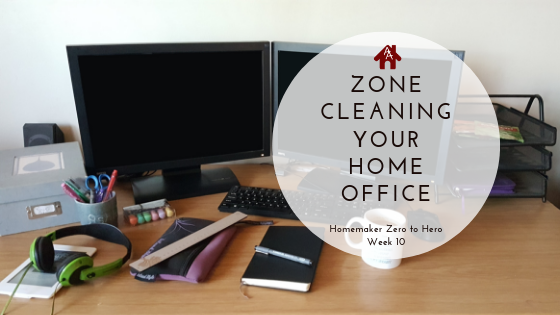 This week we are going to create all the index cards we need to keep on top of the home office and paperwork part of being a homemaker.